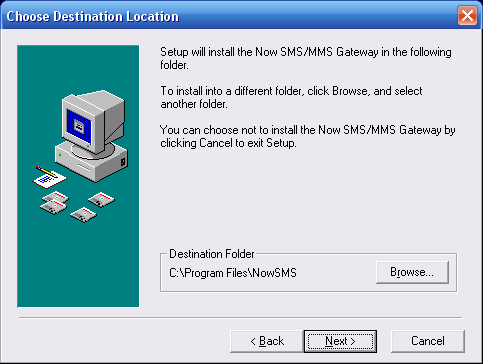 The installation program for NowSMS is normally packaged in a self-installing executable program named NOWSMS.EXE. This executable might be packaged inside of a compressed ZIP-format file for electronic distribution, in which case the NOWSMS.EXE file must be extracted from the compressed ZIP file. 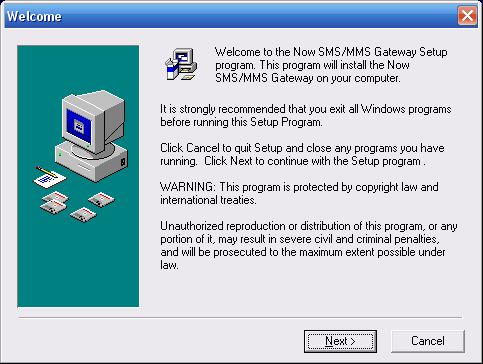 Running the NOWSMS.EXE file will begin the installation process. Additional informational screens may be displayed before the installation continues. In particular, if an existing version of NowSMS is already installed, the new version of NowSMS might require that you have a NowSMS Upgrade Agreement in place. The standard practice is that each NowSMS purchase receives 12 months of free upgrades. After this 12 month period, you must purchase a NowSMS Upgrade Agreement in order to use future NowSMS upgrades.